Selene – Welcome to The Horror Tree. Thanks for agreeing to an interview! Please tell us a bit about yourself. Helen – Hi Selene, thank you so much for hosting me. I’m forty-eight, have five grown up children, four grandchildren and have been married for twenty-eight years. I love reading anything that scares me, I’m partial to a good, old horror film. I love coffee, chocolate, days off work and spending time with my family. 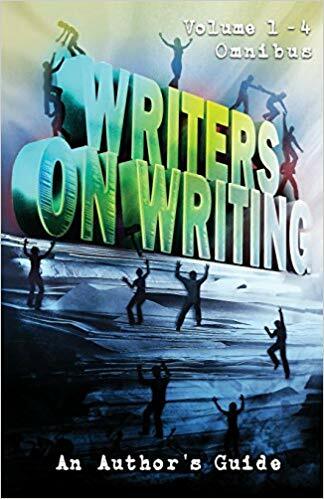 Helen – I started writing my first book thirteen years ago, it took eight years from start to publication because I had no idea what I was doing. Ever since I discovered Stephen King, Dean Koontz, James Herbert and Graham Masterton I’ve been hooked on reading stories that scared the pants off me. Selene – Several of your books are more in the crime/mystery/serial killer vein than straight horror. I’ve had some discussions about what defines horror lately. Where do you think crime thrillers fall in the broader genre? Helen – I don’t class crime thrillers as horror although there are some pretty horrifying serial killers, real life is often far scarier than fiction. Selene – Where do you get your ideas, and do you only write longer novels? The reason I ask is many authors also work in the shorter form. Helen – I have lots of vivid dreams, some of my ideas have come to life because of a dream. I get inspiration from settings, newspaper articles, snippets of conversations, almost anything really. I also have a very overactive imagination. I tried writing a short story once and really struggled, I much prefer writing longer stories. For some reason I find them easier to write, although when I get to around forty-five thousand words I do wonder how on earth I’m going to ever finish the book. Selene – This question is about setting. I noticed in your bio that you live in England and haven’t really left the UK. Yet many of your stories are set in the US, in places such as New York City. Do you find it hard to write about a place you haven’t visited? Helen – I do live in a beautiful part of the UK, near to the Lake District. I’ve been lucky enough to visit New York four times since 2015, which was where the inspiration came from. I do prefer to set my stories in places I’ve visited, I like to be able to visualise it all in my mind when I’m writing about them. Selene – Which leads to my question about research! How do you research a novel? Helen – I’m lucky enough to work for the police which has been a massive help with research, the internet is a fabulous place. When I first started writing I’d spend hours at the library looking through books. Now we’re very fortunate we can find out almost anything within seconds. Selene – Let’s talk about plot. You mentioned on your website’s writing tips section that plot is most important. One of the things I have the hardest time with (and probably why I stick to shorter stories) is taking characters and scenes and making them do something. How do you stick to a plot, and see it through to the end? Helen – I tend to have my ending before anything else, I like to know how the story will finish. Normally with some major, page turning climax. I then sit down with a notebook and pen, to write down a basic plot. Which I then transfer onto different coloured post it notes for each chapter or time difference. It’s almost impossible to follow it completely, the characters and story have a way of going their own way, but it’s there to fall back on should I get stuck. Selene – Since horror and crime thrillers also require a means of building suspense, how do you approach the “thrills” aspect of your plots? You also mentioned scaring yourself while writing The Good Sisters. Helen – I had to stop writing The Good Sisters once it got dark because I kept scaring myself. I’ve always been a voracious reader since I was a child, and this has been a huge help. I’ve also been brought up watching horror films and what I did was think back to all the scary, nail biting scenes that terrified me and tried to emulate the thoughts and feelings I experienced into my own writing. Selene – On your blog, you mention knowing your characters well before you write them. How do you develop your characters? Helen – I love Pinterest and love making boards for each book, I pin people, places, settings, locations, clothes, almost everything I think my characters would like and add it to my inspiration board. It’s great having visualisations to help bring them to life. I tend to write out their name and a basic description of them, what role they’re playing and how they move the story along. Quite often they come to life and develop minds of their own. Selene – Several of your books are part of a series. What’s it like writing a series of stories about a character, rather than a standalone book? Helen – I love the familiarity of the characters and locations when writing a series, it’s almost like writing about old friends. You get to know your characters so well they almost become a part of your family. Selene – These next two questions deal with marketing your books. I saw the book trailer on your website, and since this is a newer way to market books, do you find the book trailer effective? Helen – I’m not sure if it is to be honest, I love them. I think they bring the story to life and think that it’s a brilliant way to try and capture readers imaginations. Selene – I think you’re the first author I’ve interviewed so far who’s on Instagram, or at least the first I’ve noticed. I’ve also been thinking that as an author, one really needs a social media presence these days. How do you like to use social media as a marketing tool, and how effective is it? Helen – I love Instagram, it’s my favourite of all the social media sites. I think the simplicity makes it effective. I like to mix my life with my writing, I think it’s great for readers to see what goes on behind the scenes. It breaks up the ‘buy my book’ posts. Facebook is probably the most effective for authors although I really need to get to grip with Facebook Ad’s. I’m so busy with work, my family and writing that I don’t have as much time to spend on marketing as I’d like. Selene – I took a peek at some of your reviews on Amazon, and they seemed to be a mixed bag. How do you handle critical reviews? Helen – I don’t read them very often. It’s all too easy to get hung up on the negative ones, you can’t please all of the people all of the time. You could write the most amazing book in the world, win every prize and still someone won’t like it. Everyone has different tastes, you just have to remember that. Selene – You’ve got ten books out now, and it seems like you’ve always got new ideas on the go. How do you manage your time, and what are some tips for productivity? Helen – I love writing, but my crazy life can get in the way of it. The most productive way to get things done is to write whenever I have some time. I rarely watch the television now, instead I spend that time writing. I often have to get up really early to get some writing time in before work. I don’t put any pressure on myself unless there’s a looming deadline. I write little and as often as I can. Selene – What advice (other than what’s on your blog) would you give a writer who’s just starting out? Helen – Write what you’d want to read, don’t show your work to anyone in the early stages. Just get that first draft down on paper, don’t get hung up on wanting your best friend or parents to love it. Don’t worry about whether your commas are in the right place, the story is the most important thing. Everything else can be fixed on later drafts. There will be later drafts, possibly many. I lost count of how many times I rewrote The Ghost House before the publishers would buy it. Oh, and never give up, it does get hard, sometimes you wonder why on earth you started writing a story. Stick with it, take a break then go back to it. Remember you can do it. Selene – Do you have anything else you’d like to talk about here? 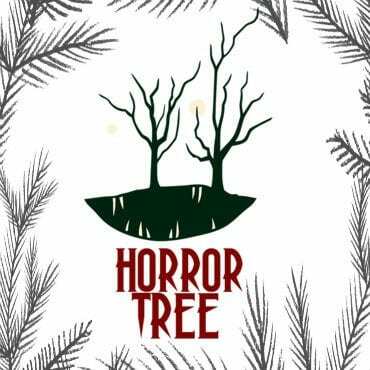 Thank you again for agreeing to an interview with The Horror Tree! Helen – Thank you so much for having me Selene. I love talking about writing so feel free to get in touch with me.